FACT, the UK’s centre for digital art, celebrates the 15th birthday of its Liverpool headquarters with a special programme of events celebrating the passions of the building; music, art, performance, film and experimentation. 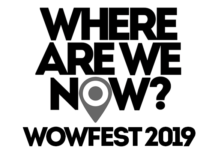 Reflecting on the role of one of Liverpool’s major arts organisations, its venue and history, FACT at 15 invites audiences to celebrate with artists, musicians, filmmakers and performers from Liverpool and internationally. Born out of Moviola, FACT was established as an organisation passionate about video and new media art, exhibiting and curating the work of artists that had little platform in the UK. When the arts centre opened its doors on Wood Street in 2003, it was Liverpool’s first new arts build for over 60 years, since the Philharmonic Hall in 1939. 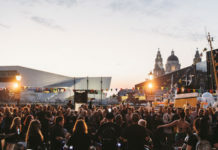 Coinciding with Liverpool’s successful bid for European Capital of Culture, FACT quickly became a world leading exhibitor and producer of video and digital art. FACT’s first exhibition, Isaac Julien’s Baltimore, was commissioned for the opening (and continued to tour for the next decade). Since then, FACT has exhibited artists including Pipilotti Rist, Black Audio Film Collective, Apichatpong Weerasethakul, LaBeouf Rönko & Turner, Anna Lucas, Orlan, Stelarc, Wu Tsang and more. 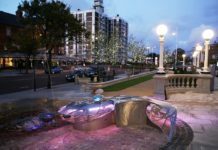 Sharing the building with a Picturehouse cinema, the centre has become a key cultural destination in Liverpool, attracting film lovers and filmmakers, international artists and curators and arts lovers. 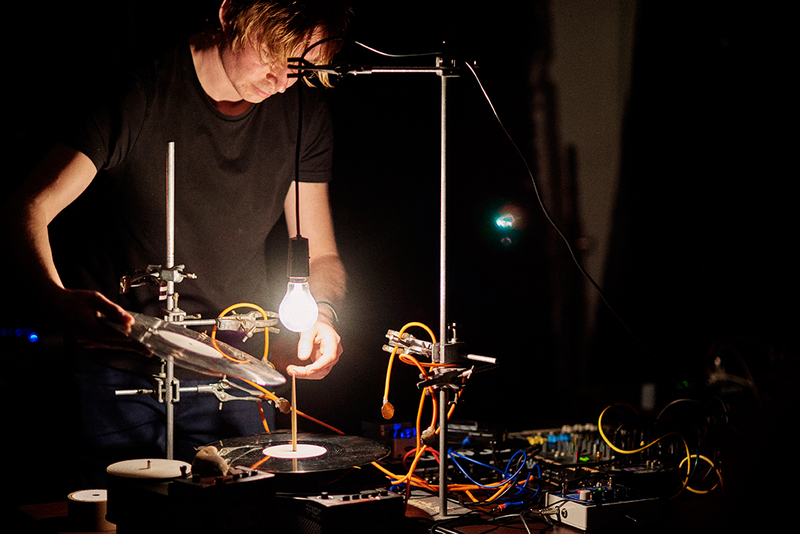 Known for his vinyl hacks, coding, and turning analogue sounds into electronic music, artist and musician Graham Dunning will collaborate with intergenerational groups from Liverpool to create a new Mechanical Techno composition, over a 3 day residency in FACT’s foyer Learning Space. The new work will be performed on Friday 13 April. 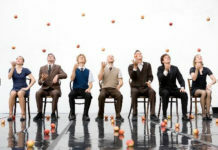 Richard Ramchurn, The MOMENT, 12-14 April, 11am – 6pm, Ropewalks Square, Free. Ramchurn previews his new work, The MOMENT, a brain controlled film, screening in a caravan in Ropewalks Square. Using audience members’ live brain data, each viewing creates a unique narrative using brain computer interfaces, the next step in innovation for mass markets. On the opening night of FACT in 2003, artist Vicki Bennett conducted a memorable audio/visual performance. 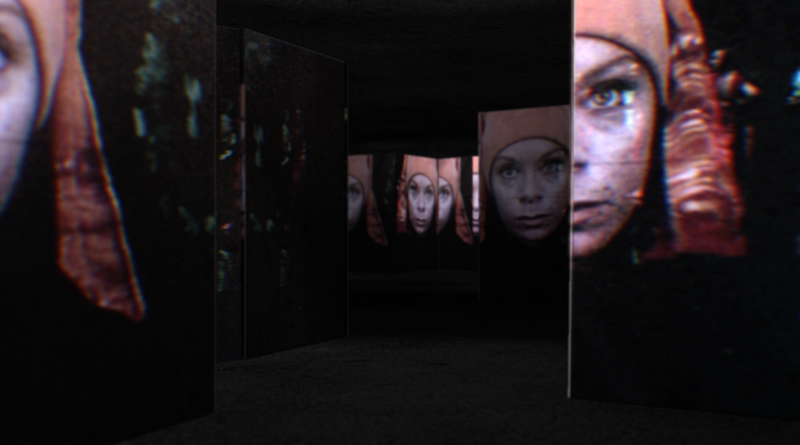 She returns to FACT in 2018 with The Mirror, her first dual screen performance, splicing movie snippets with original music to reflect the multiple versions of the person we present to the world as individuals. 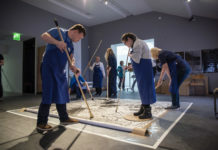 Hidden Voice, a new work by artist and musician John McHugh gives a voice to those with dementia in Liverpool. 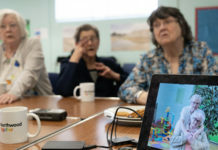 In collaboration with Music in Mind and Royal Liverpool Philharmonic Orchestra, the new composition features the voices of those living with dementia and the lilting speech melodies of project participants. The original piece of music will be performed by the RLPO Mishima quartet. Smriti Keshari presents the bomb, an immersive film experience taking viewers through the strange and unsettling reality of nuclear weaponry. Combining archival footage, animation, music and text, the bomb explores the immense power of one of the most terrifying technological developments in human history, the perverse appeal these weapons have, and the profound death wish at the very heart of them. The artist will be present for a Q&A and discussion after the film. Liverpool-based innovators of immersive sound Kinicho will introduce you to a new sonic reality in this experimental pop-up. 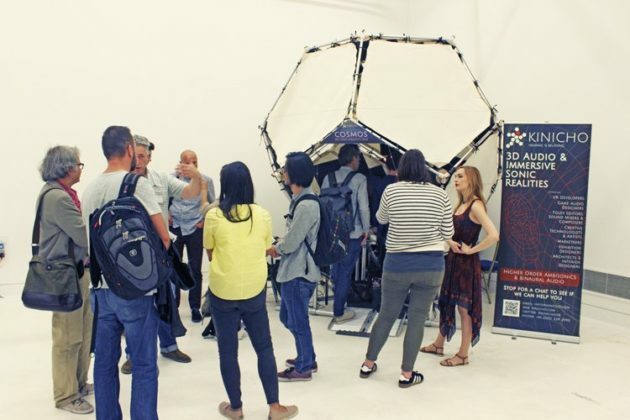 Like a giant, immersive theremin, step inside The Cosmos and interact with this kinetic, sonic sculpture using synthesisers and 3D audio to create your own sonic filter bubble. FACT will take over the underground multi-arts venue 24 Kitchen Street, to present an extended DJ set of psychedelic, immersive techno from Aurora Halal. Artist and creator of New York’s Mutual Dreaming party series and the Sustain-Release festival, Halal has toured some of the most forward-thinking underground clubs and festivals in the world, including Unsound and Berghain. 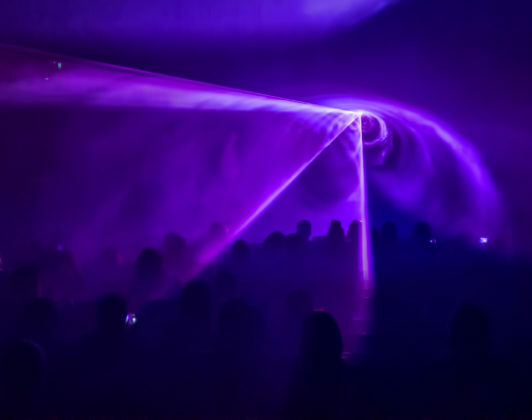 Australian audio visual artist Robin Fox will perform a stunning laser show, synchronising sound and visual electricity in hyper-amplified 3D space, and the night will close with support from local DJ talent Binary + Malchance.